Approximately 30 percent of your credit score is calculated by weighing how much of your available credit you actually use (see the 30-percent slice in the pie chart). It’s almost as important as your payment history. The scoring system’s main concern is how you are handling your revolving credit (your credit cards). It looks at how much you owe on your cards and compares that amount to the credit limits on those cards. Make sure you know the credit limits on all your cards, and don’t let the balance on any of your cards climb above 30 percent of the limit. For example, if the limit on one of your cards is $1,000, don’t let the balance get above $300. For best results use 10 percent of the limit. If you have a number of cards, but you have a favorite that you like to use and you often run a balance near the limit, stop doing this. Instead, spread your monthly card use among your various cards, keeping the balance low on each. Figure out a system that works for you—For example, if you have three cards with comparable limits, use one card for the first ten days in the month, switch to another for the next ten days, and so on. Whether or not you pay the entire balance on your cards every month, send in your payment as soon as possible. This will increase the number of days each month that your account shows a low balance, and this in turn increases the likelihood that this low balance will be the number that your card company reports to the Credit Reporting Agencies (CRAs). 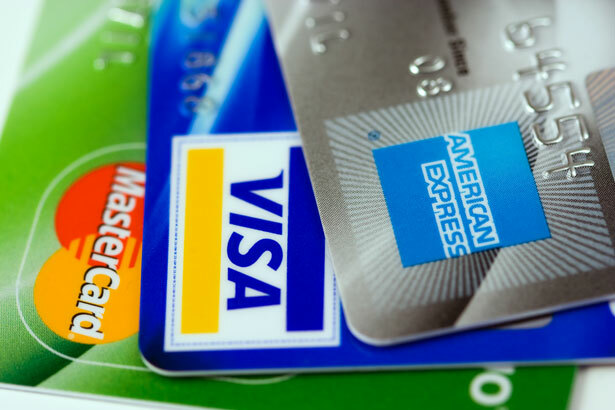 If you have a card that doesn’t have a preset limit (like American Express), the credit card company reports the highest balance that you have established since you got the card, and the CRAs treat that high balance just like a credit limit for purposes of calculating your utilization rate. If you have such a card, figure out what your historical high water mark is, and don’t let your future balance climb above 30 percent of that amount. If one of your cards is above 30 percent and you have other cards that are not, don’t be afraid to transfer balances as necessary to get all the utilization rates below 30 percent. If you don’t have the cash flow to get all your cards below 30 percent and keep them there, go through the exercise of spreading everything out and getting as close to 30 percent on each card as you can. For purposes of helping your score, a 40-percent utilization rate is better than a 70- or 80-percent rate. If you have a card with a high limit (say, $20,000) and your other cards have lower limits (maybe $5,000 each), do what you have to do to get the $20,000 card’s utilization rate down to where it should be. Do this even if it means that you’ll go over 30 percent on one or more of your other cards. A high utilization rate on a card with a high limit hurts your score more than a 30-percent violation on a lower-limit card. If all else fails, don’t be afraid to call your credit card company and request a limit increase. Be sure to talk with them first about exactly how to do this and whether you’ll likely qualify for the increase you’re looking for. You also might ask if they intend to pull your credit report as part of the process of deciding whether to grant your request for an increased limit. If you’re only talking about one card, you’re trying to get your 35-percent utilization rate on that card down below 30, and you’ve had a number or recent “inquiries,” then the cost of another inquiry on your record might not be worth it. Don’t assume that you can run a high balance, pay it off at the end of the billing period, and by so doing escape the “utilization rate” trap. You probably won’t. Credit card companies report the balance that shows on your account on the date they send in their report to the CRAs. You might get lucky–they might report on the very day your full-balance payment is posted and your balance goes to zero—but it isn’t likely. Chances are they’ll decide to send in the report on your account when the balance is way above 30 percent of the limit. If you look back in your statements and you see that your highest balance was pretty low (maybe you’ve always used this card sparingly), then transfer some balances from other cards to this account to pump up the balance, pay the card down to zero right away, and then go forward from there reverting back to your usual light use of the card. Don’t assume that you’ll be OK if you have an overall utilization rate of under 30 percent for the combined limits on all your cards. You won’t. It’s the utilization rate on each individual card that counts. Finally, if you have only one or two revolving accounts and you’re running above 30 percent on either or both, consider opening another account or two. As you’ll see in the next section, opening a new account isn’t always a good idea from a scoring point of view, but the positive effect of getting your cards below 30 percent should outweigh any negative effect resulting from a new account. Remember look out for next week’s blog on “What You Can Do to Improve Your Credit, Starting Now”, Step 3—Age Your Accounts.